Torri and Trevor Lienemann didn’t intend to become Angus cattle breeders. Torri has a Ph.D. in special education and Trevor has a thriving accounting business. They made a purchase at the local sale barn and the rest, as they say, is history! The Lienemanns have passed a love for Angus cattle on to their four children, and today, the entire family is determined to produce the best Angus beef at their ranch in Princeton, Neb. Friends and family gathered to watch paint dry, tour the ranch and enjoy an amazing meal. 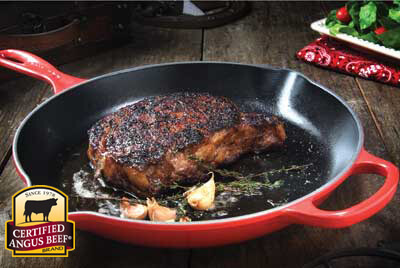 Venue Restaurant from Lincoln, Neb., served dry-aged Certified Angus Beef ® brand prime rib.